For the last few months I have been toying with whether to buy a brand new car or a used one. Everyone tells me to buy one that is a few years old as it is far better value for money. But my gut feeling is to go for a new one that had all the bells and whistles I want rather than those chosen by someone else – even if financially it does not make sense. The final countdown to what to do was a close shave that caused me much stress. Eventually, my heart ruled rather than my head. In a couple of months a new beauty will be delivered to me. Throughout our lives we are confronted with making a number of such big ticket decisions, not just what kind of, or indeed whether, to buy a car, but also when moving to a new house, which university to go to, whether to change jobs and so on. 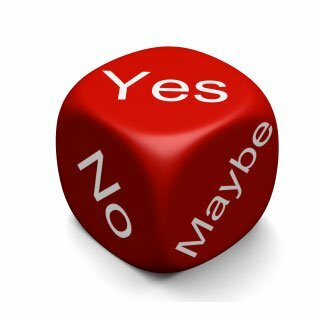 For these kinds of life-changing choices we typically begin by doing lots of research, partly to reassure ourselves that we are selecting the best option according to certain criteria, such as reliability, price, reputation or new opportunities. To do otherwise, such as based on a hunch, would be rash and unwise. During this comparative process, we weigh up many options, read other’s reviews, prioritizing, and talking to others about our current thinking, all the time juggling the various criteria in our heads. Much has been written about the rational decision-making processes that are involved. A commonly accepted view in the fields of economics, psychology, and consumer behaviour is of unbounded rationality; that states decisions are best made by gathering and processing all available information. Once, all the information has been sifted and sorted through, we can then make a well-informed decision. In contrast, the perspective of bounded rationality argues that we often make decisions with much less information, because of limited time, information, and computational abilities. Instead of processing all the available information and considering all the options, we often make surprisingly good decisions simply by using “fast and frugal” heuristics, which are rules of thumb or short-cut choice strategies that ignore most of the available information. The trick is to ignore the unnecessary pieces of information, and just search for the few pieces of information that will be most useful, or the few most appropriate options, and process them appropriately. To do this, we use search heuristics that look for options only until one is found that is good enough or “choice heuristics” that seek as little information as possible to determine which option should be selected. In my case, I knew which car I wanted from the get go based on a gut instinct. However, because it was such a big decision, I looked at the internet flow of information in order to be more sensible. I don’t know how many reviews I read and how many people I talked to before stopping my search. But I ended up choosing what I felt I wanted 6 months ago. I wonder how many of us do the same – following our instincts but prolonging the anxiety by going through a drawn out decision-making process to justify it to ourselves and others. So what is the role of technology in all of this? Has it helped or hindered, vindicated or confused? Especially for those of us who were born only ever knowing life through laptop fingertips? Howard Gardner and Katie Davis in their new book “The App Generation” note how the app mentality developing in the psyche of the younger generation is making it worse for them to make their own decisions because they are becoming more risk averse. By this they mean that young people are now depending on an increasing number of mobile apps that remove the risks of having to decide for themselves. They will first read what others have said on social media sites, blogs and recommender apps before choosing where to eat, where to go, what to do, what to listen to, etc. Moreover, they often leave it until the last minute, micro-coordinating their arrangements with their friends, before deciding. They will wait and see if a better offers comes their way rather than making a decision for themselves, a week in advance, say, to see a movie with a friend and sticking to it. But, relying on a multitude of apps means that young people are becoming increasingly more anxious about making decisions by themselves. For many, their first big decision is choosing which university to go to. This has become an agonizing and prolonged experience where both parents and apps play a central role in helping them out. They will read countless reviews, go on numerous visits to universities with their parents over several months, study the form of a number of league tables, read up on what others say on social networking sites, and so on. But in the end, I wonder if it was all that necessary. They may finally end up choosing where their friends are going or the one they liked the look of in the first place. Many will have spent hours, weeks, and even months talking about it, reading up on it, listening to lots of advice and procrastinating right down to the wire. Compared to previous pre-internet generations they wont have made the decision by themselves. Technology, it seems may now be hindering not helping us with making big decisions.